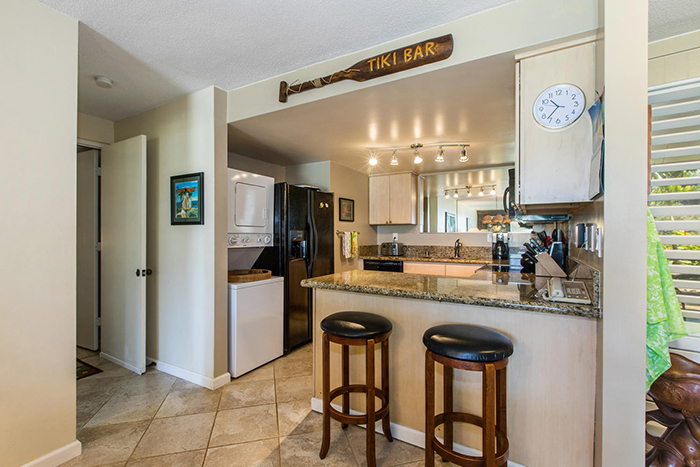 Situated on a knoll to capture the tradewinds, you will love the look and feel of this spacious (over 1300 square feet) two bedroom, two bath condo suite! 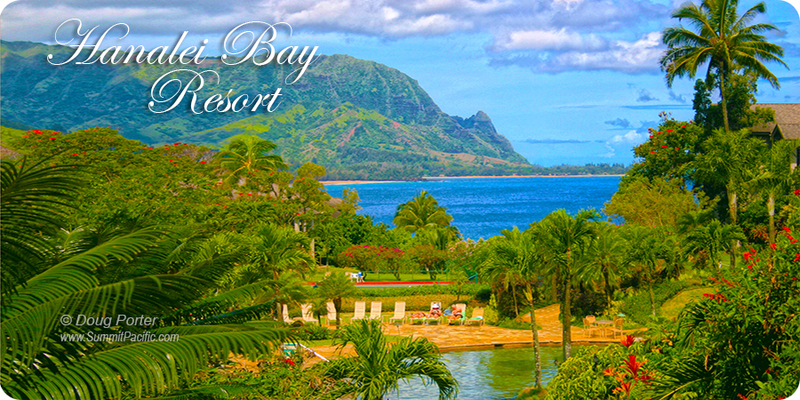 The open panoramic view of flowers, the wetland, bay and spectacular mountains will make you think you are in paradise. 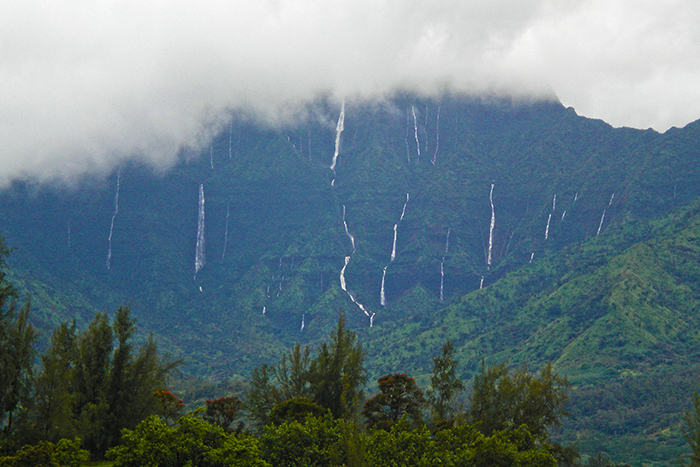 Count the many waterfalls on the mountain after a rain. 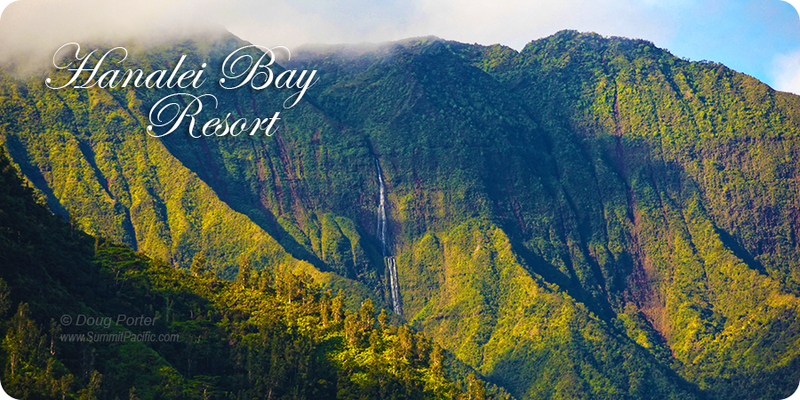 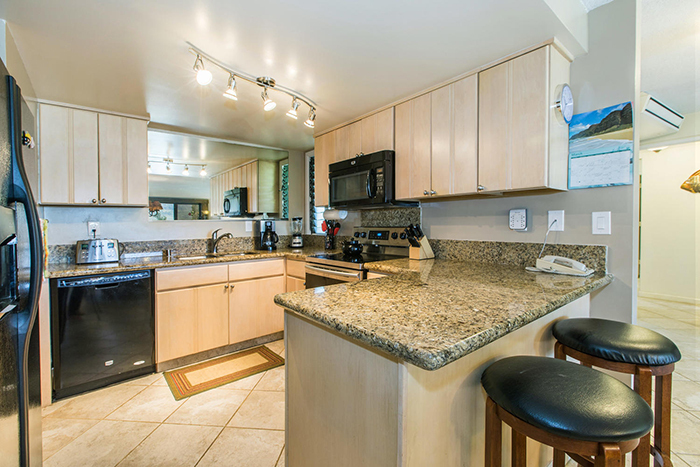 You’ll enjoy just sitting out on one of the three lanais taking in the panoramic scenery. 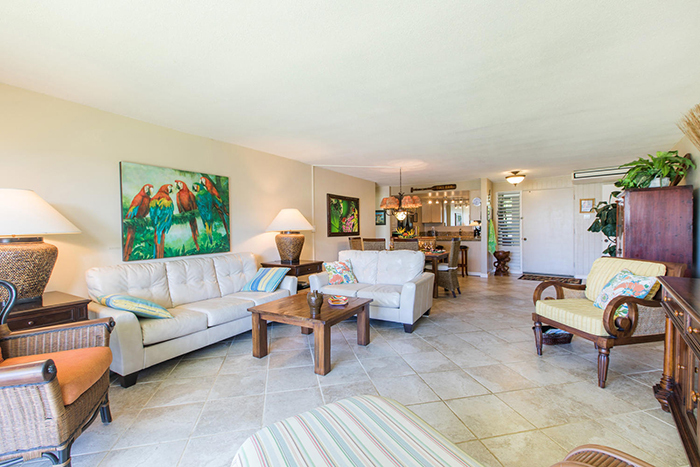 Inside, the beautiful new tile floors and leather sofas spell luxury from the moment you open the front door. 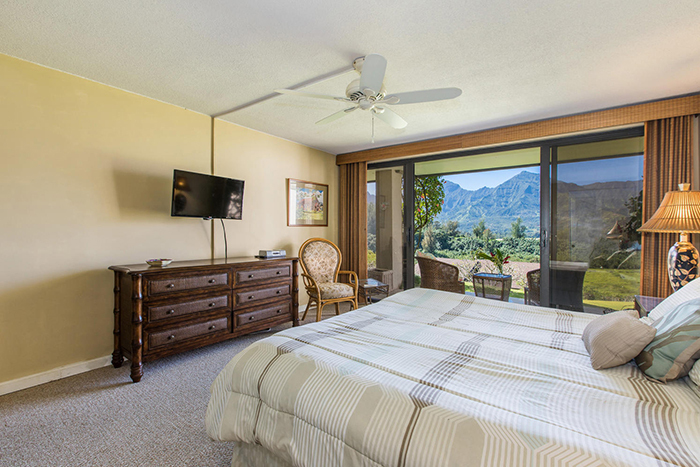 Watch a movie on the new large flat screen TV. 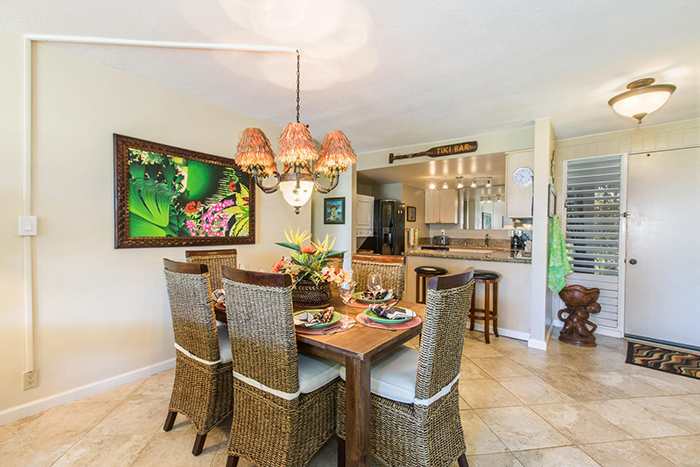 A well appointed kitchen with all new appliances and ample island style dining area are waiting for your use. 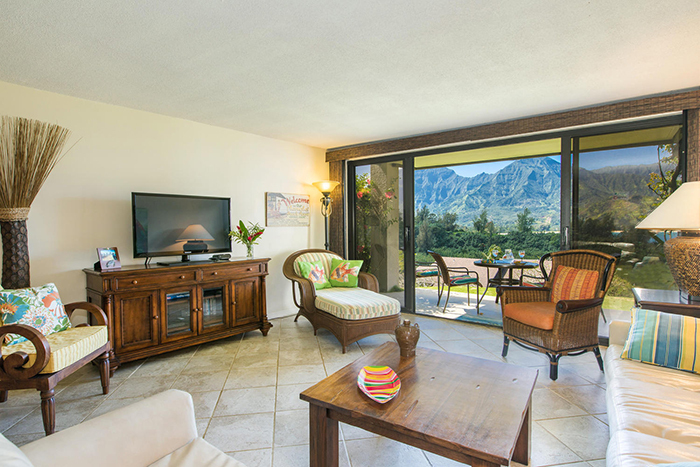 The living area includes plenty of seating, a desk, and you will find books, games, CDs and puzzles in the new TV cabinet. 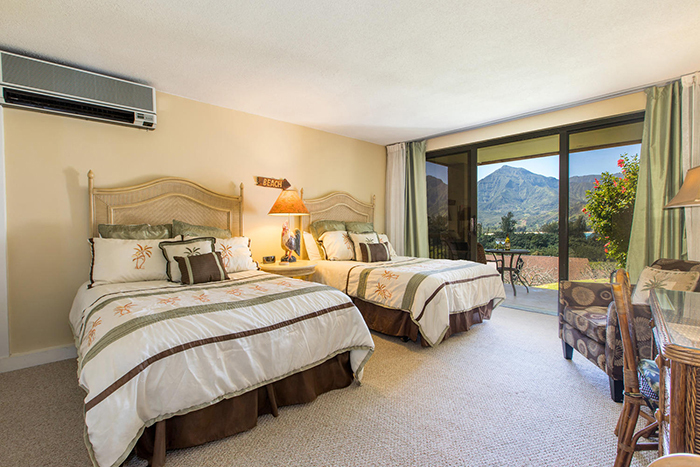 The king bedroom also has a snazzy look with a lovely new dresser, new carpet,TV, sitting area and its own lanai. 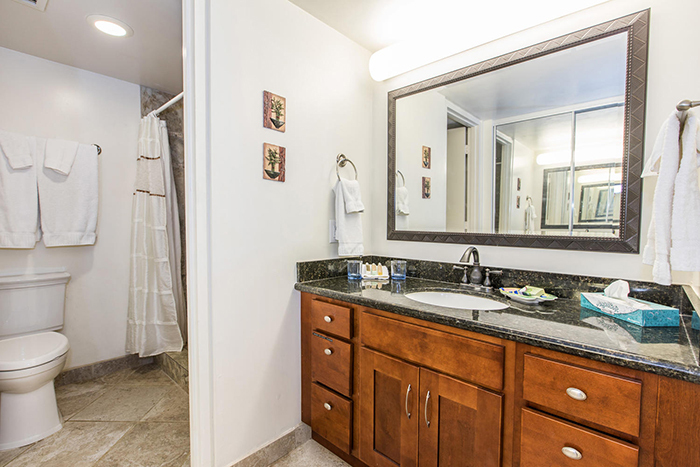 The second bedroom has its own private bath with large dressing area, a TV, coffee pot and frig, comfy sitting area with footstools and private lanai. 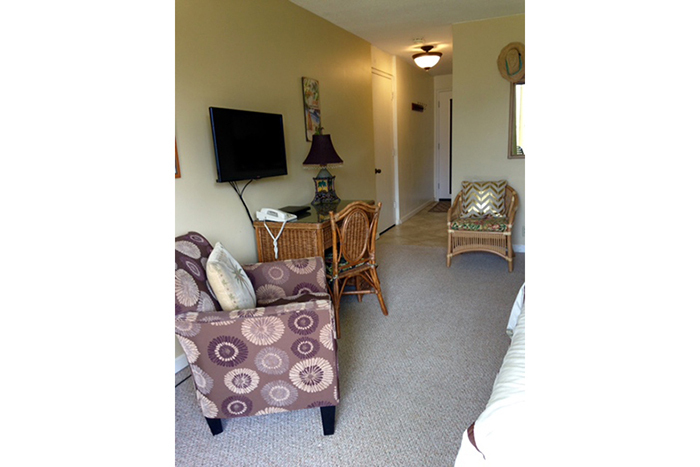 Floor covering include new carpet and floor tile. 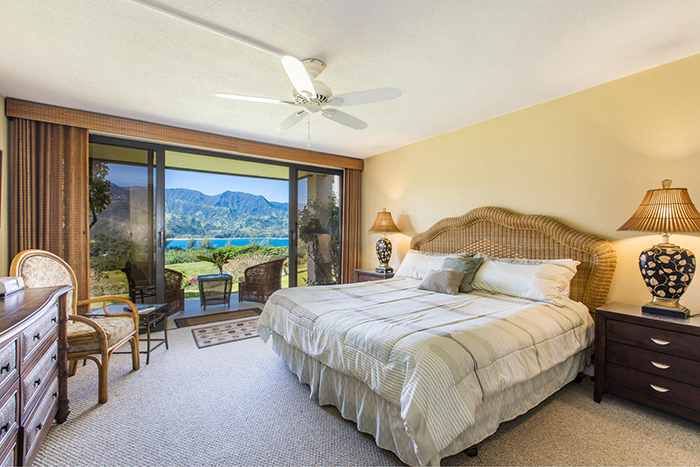 You will wake up to a beautiful view from both bedrooms! 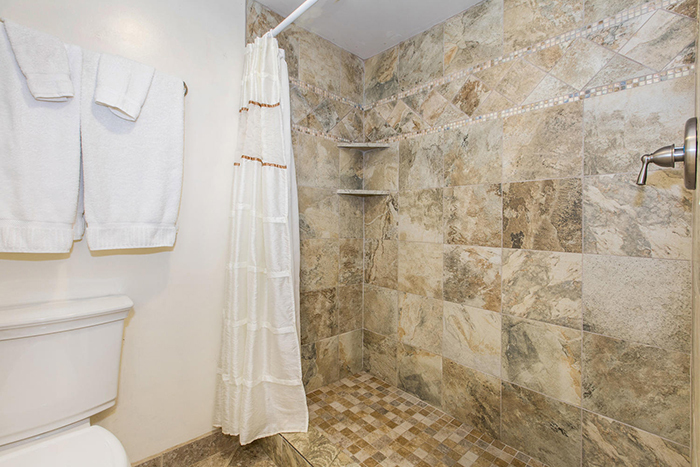 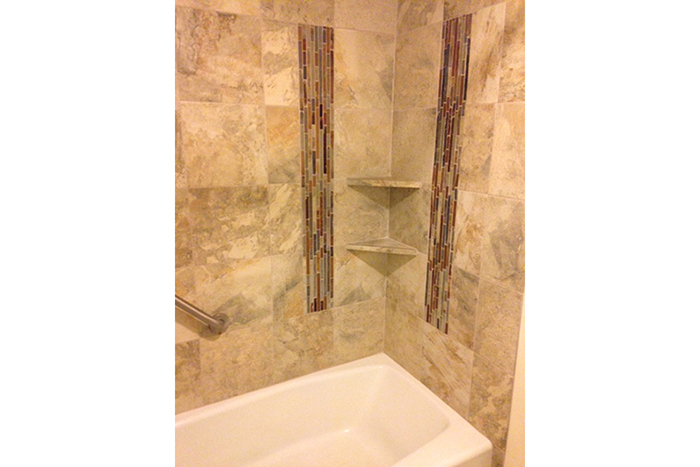 Owner considers this newly acquired unit “home away from home” and wants you to enjoy the same feeling. 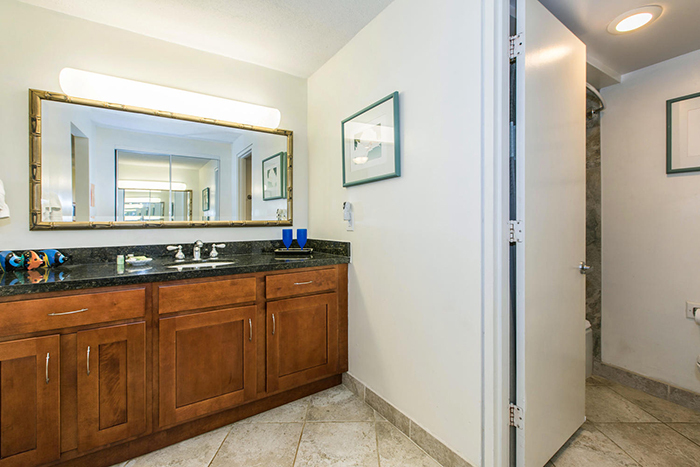 This unit is perfect for a family getaway or provides privacy for two couples sharing a condo. 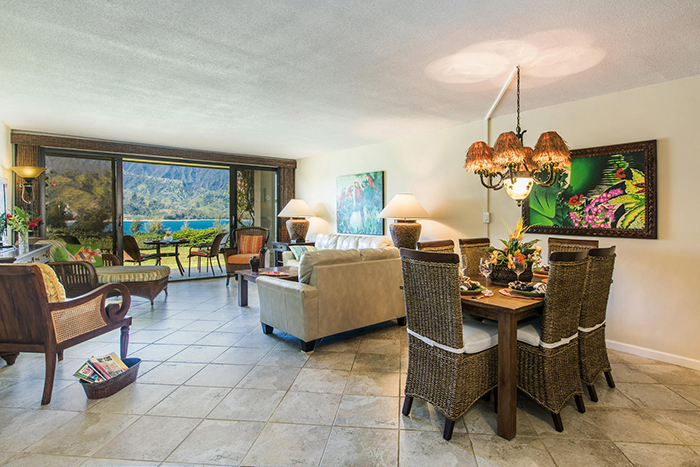 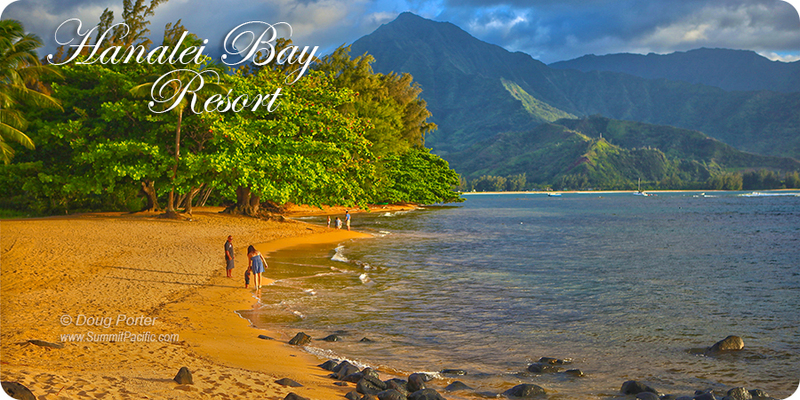 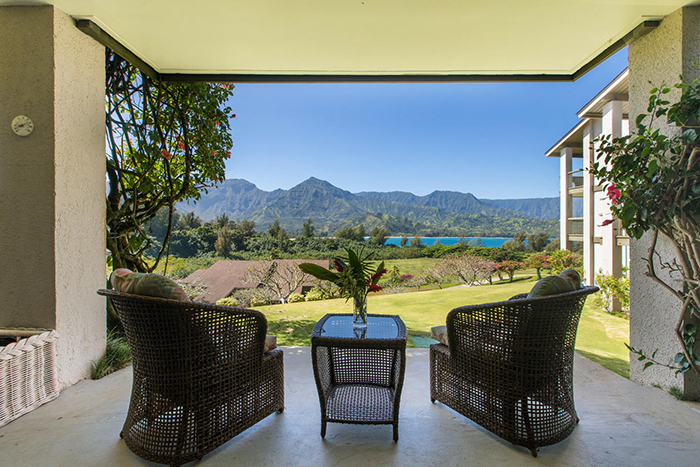 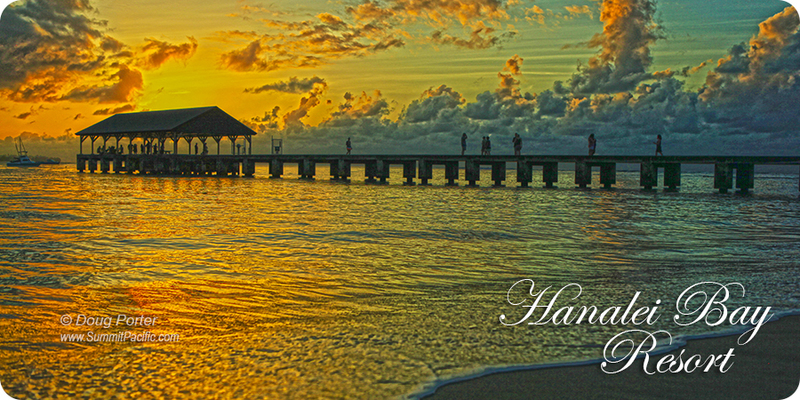 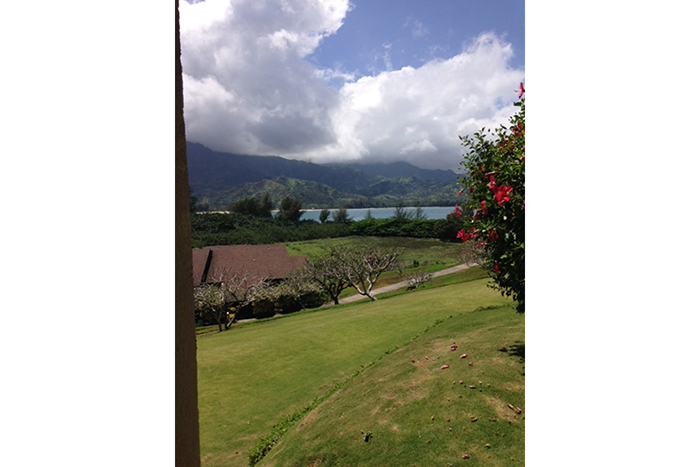 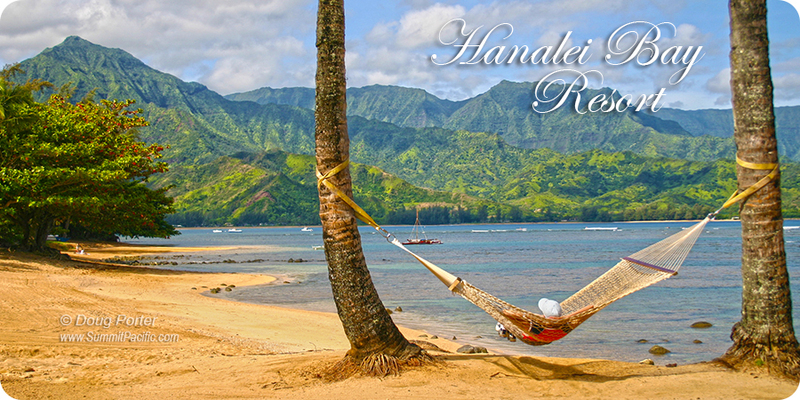 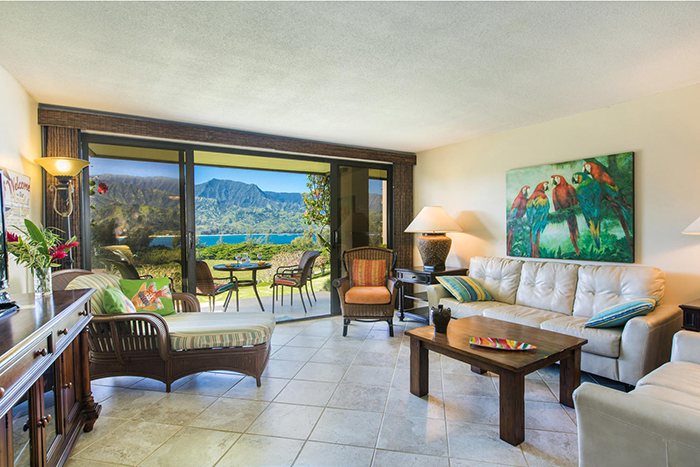 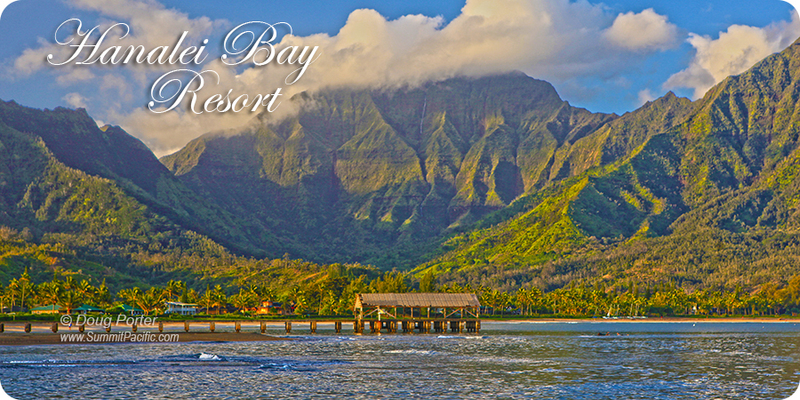 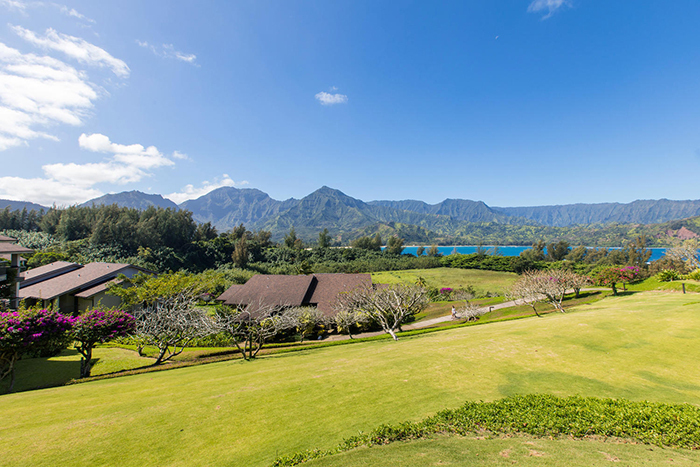 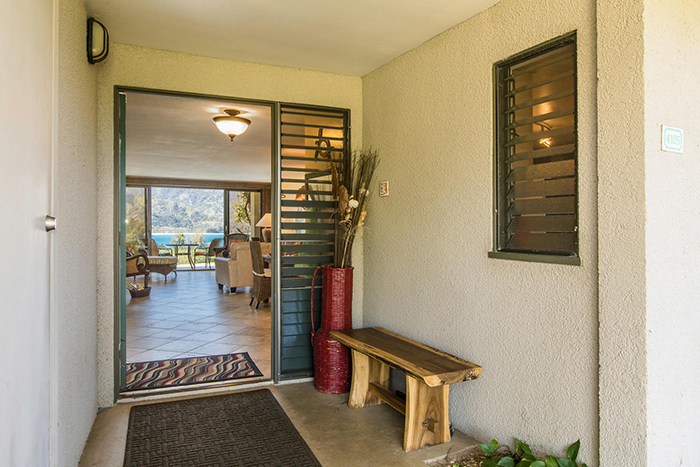 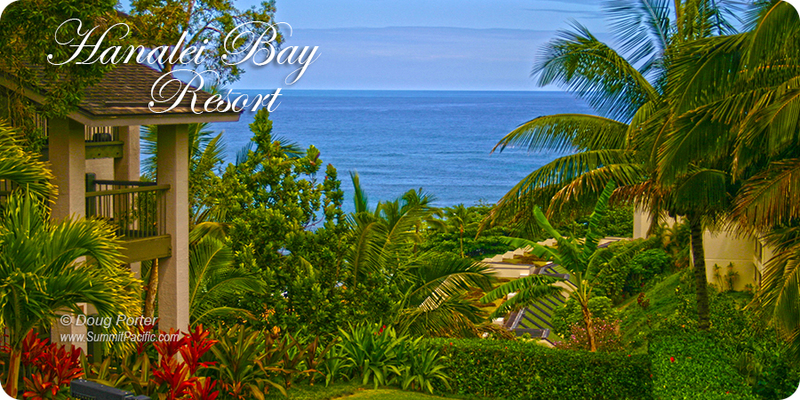 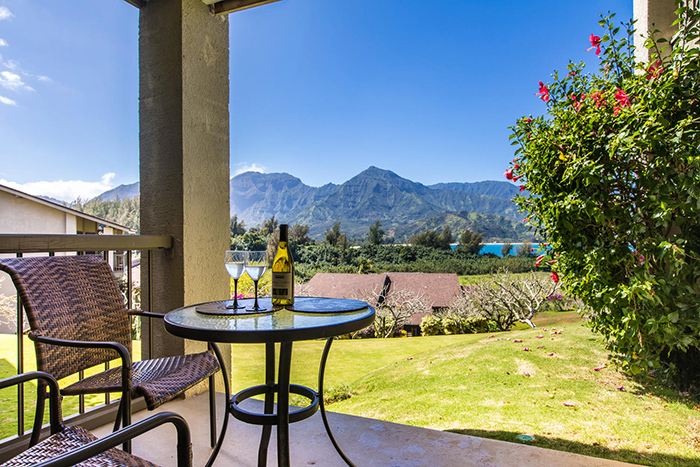 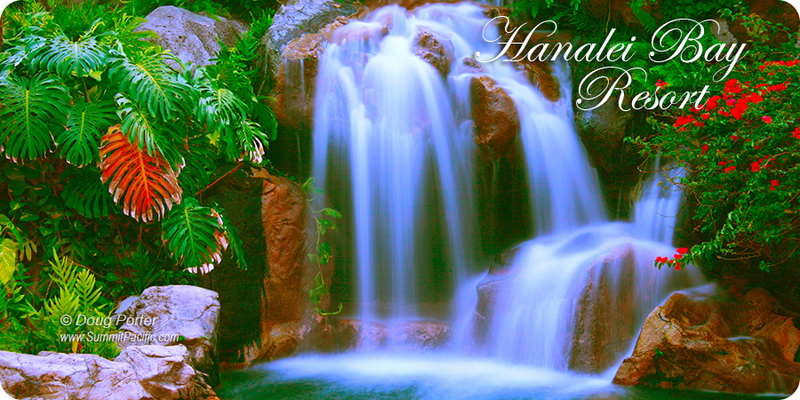 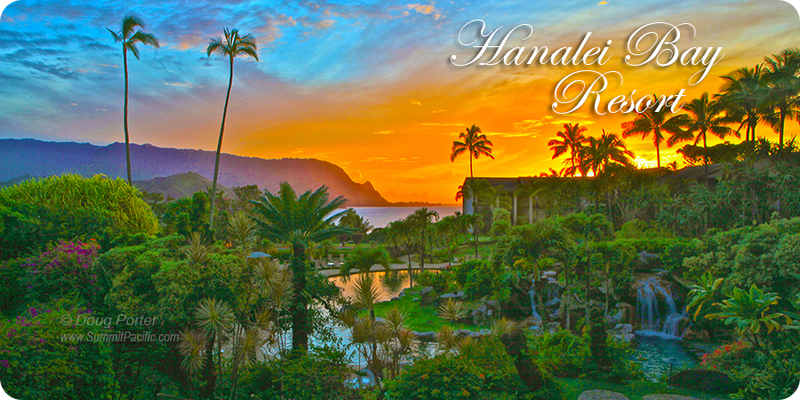 As their guest you can enjoy the grounds and amenities of Hanalei Bay Resort, stroll down the beach path, have a burger by the pool for lunch and soak in the hot tub. 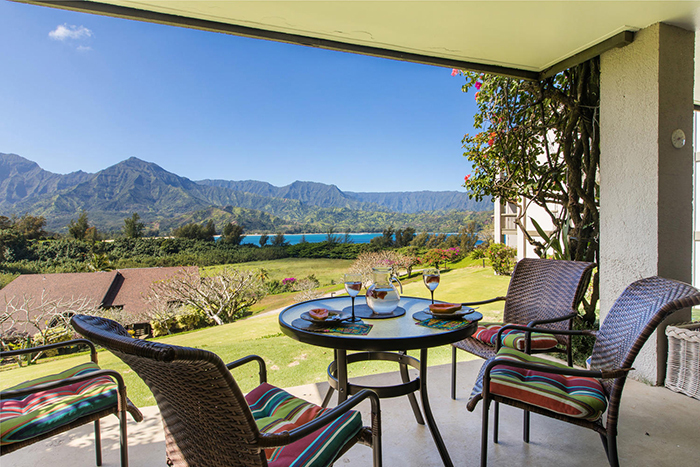 Enjoy also the barbecue grills to make a delicious fish dinner. 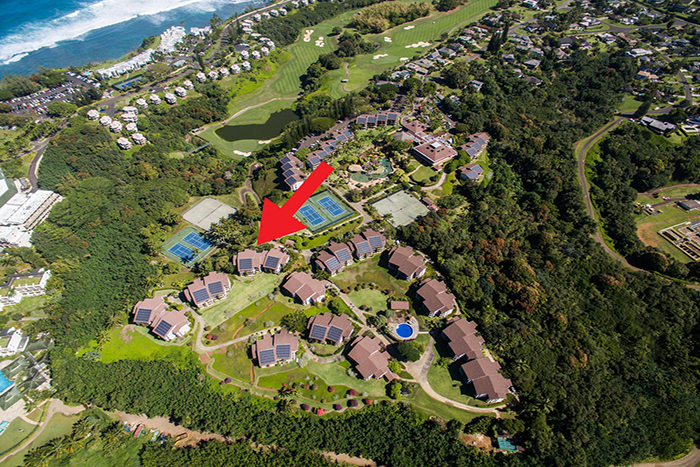 The Peter Burwash tennis program is available for your use. 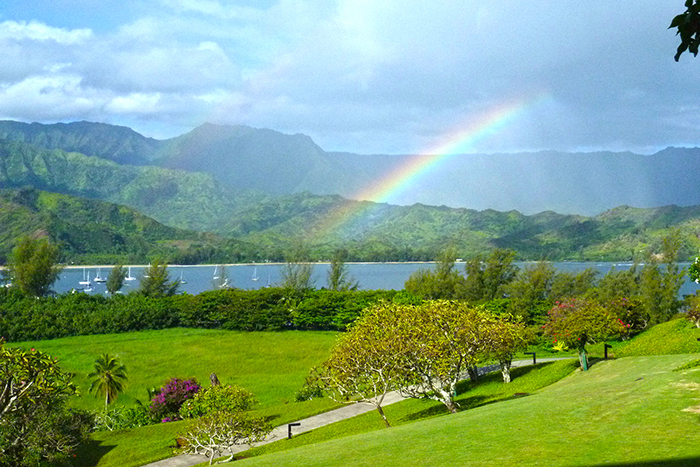 Add Hawaii tax of 14.96%, Outclean Fee of $220.